Jeremy Corbyn is said to have contradicted himself this week, saying he is anti-sugar answering ‘mumsnet’s biscuit question’, despite listing jam-making among his hobbies. This human-like contradiction has thrown media types into a spin. It is part of a bold media-strategy to seem honest and genuine? Doesn’t he have people to prevent such straight forward answers? Gordon Brown famously took 24 hours to answer the same question when asked by mumsnet, but forewarned can be forearmed… we can therefore speculate on the layers of hidden meaning in Jeremy’s answer. The Times reported that “Corbyn crumbles in face of Mumsnet cookie quiz”, and the Sun’s headline was “THAT TAKES THE BISCUIT Jeremy Corbyn slated by Mumsnet users after saying he was ‘anti-sugar’ when asked what his favourite biscuit was”. His answer was Shortbread biscuits, for US readers, in the UK a biscuit is like a cookie, not a scone. Was this simply an appeal to Scottish voters? 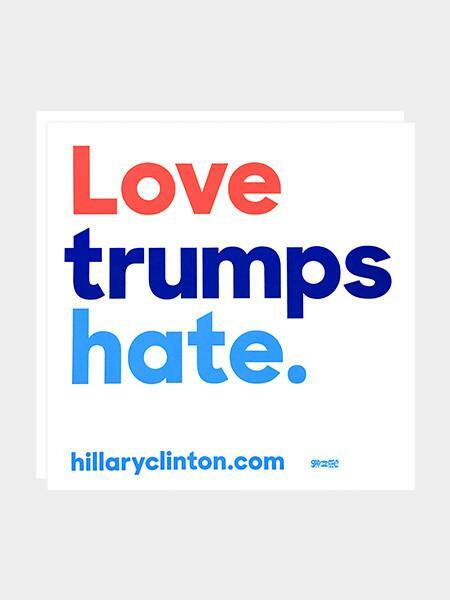 Hillary Clinton’s campaign for president features the side glancing blow at her opponent Donald Trimp, with the campaign slogan “Love trumps hate” sometimes capitalized “LOVE TRUMPS HATE”, but surely reminding the voting public of the existence of your opponent is a bad move? How has this tactic been used in the past, and what was the result? Love Trumps Hate, a slogan of the Hillary campaign. Previous use of the opponents name in campaign slogans has usually had less potential for puns… In 1844 Henry Clay ran with the slogan “Who is James K. Polk”, the campaign resulted in election of James Polk, who was a dark horse candidate appointed as a result of a split democratic convention. This slogan elevated the relatively unknown Polk who won the election! In 1884 both Presidential campaigns made reference to the other. Grover Cleveland ran with “Blaine, Blaine, James G. Blaine, The Continental Liar from the State of Maine”, while James Blaine accused that Grover had an illegitimate child in Buffalo NY with the slogan “Ma, Ma, Where’s my Pa?”. The race resulted in a close result for Grover Cleveland. 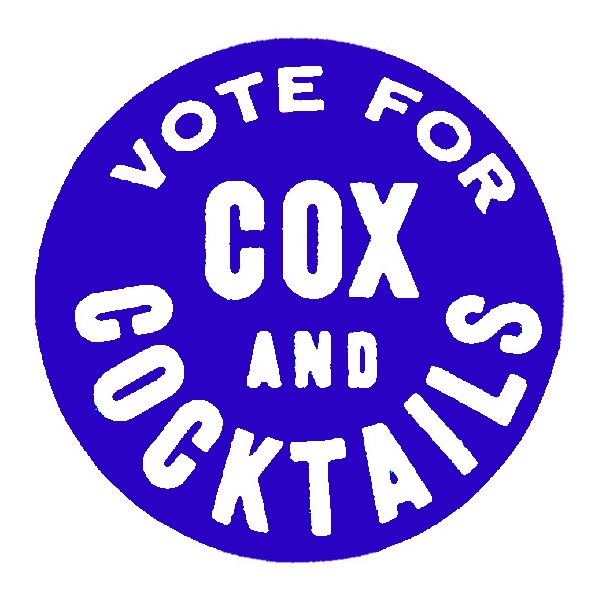 Vote Cox and Cocktails — presidential campaign slogan used by Warren G. Harding in 1920. In 1920 Warren G. Harding made reference to his anti-Prohibition candidate “Cox and Cocktails” and still managed to win the campaign, presumably his over slogan “A return to normalcy” was a lot more appealing at the time. Warren G. Harding won the campaign but died in office (reputably his drinking was a factor) and Calvin Cooleridge become president. According to this list I found on the internet all three of these slogans are among the top ten worst campaign slogans of all time. It seems it is still possible to win if you mention your opponent, as shown by Harding. However the result from the Clay/ Polk election shows the danger this tactic presents, if you are better known it would be a mistake to make a campaign about your opponent if you fail to make a positive case for yourself. The first thing that Teresa May wanted to make clear on becoming the Prime Minister of the UK, was that “Brexit means Brexit”. (e.g. Link to video). She has repeated this whenever asked about Brexit. During the G20 summit in Hangzhou China, she further explained in a press conference, “The reason I’ve been saying Brexit means Brexit is precisely because it means it does”. To help anyone who still isn’t sure about what Brexit means I have written a computer program to illuminate you. Want to know what Brexit means? Want to know what ‘Brexit’ means Brexit means? Want to know what ”Brexit’ means Brexit’ means ‘Brexit’ means Brexit means? Want to know what ”’Brexit’ means Brexit’ means ‘Brexit’ means Brexit’ means ”Brexit’ means Brexit’ means ‘Brexit’ means Brexit means? Want to know what ””Brexit’ means Brexit’ means ‘Brexit’ means Brexit’ means ”Brexit’ means Brexit’ means ‘Brexit’ means Brexit’ means ”’Brexit’ means Brexit’ means ‘Brexit’ means Brexit’ means ”Brexit’ means Brexit’ means ‘Brexit’ means Brexit means? Program to show what Brexit means. David Cameron and Jeremy Corbyn clashed other what their mothers would say during Prime Ministers question time… Here David Cameron runs the risk that someone will actually ask his mum. They then went on to speculate what Nye Bevan might have thought about the current NHS.